Aquaman topples the Dark Knight Rises becoming the highest grossing DC title ever. The aquatic adventure DC title Aquaman is apparently storming the box office overseas. With gross earnings of $649.3 million to date, Jason Momoa starring movie managed to overthrow highest-earning DC movie of all time The Dark Night Rises to claim the top spot. The James Wan-directed blockbuster managed to accumulate $649 million internationally, beating out the $636m earned by 2012’s acclaimed Batman trilogy 'The Dark Night Rises' directed by Christopher Nolan starring Christian Bale as the caped crusader. Earlier in the day, Aquaman star Jason Momoa took it to Aquaman's official Instagram post to thank his fans for the impressive success of the film. Aquaman's growing box office with $887.6 million globally surpassed 2016’s Batman v Superman: Dawn of Justice which previously set records of earning $872 million gross total worldwide. Aquaman also bypassed other DC contemporaries like Wonder Woman ($821m), Suicide Squad ($746m), Man of Steel ($668m), Justice League ($657m). Likewise, the movie also surpassed Marvel titles such as Venom ($856m), Guardians of the Galaxy Vol. 2 ($863m), and Thor: Ragnarok ($854m). Currently, Aquaman ranks as the third highest grossing DC Comics-inspired blockbuster for the studio, behind The Dark Knight Rises ($1.084 billion) and 2008’s The Dark Knight ($1.003b). The film is enlisted in a high position on Warner Bros.’ highest-grossing films of all time list, beating 2002’s Harry Potter and the Chamber of Secrets ($878m) for the 12th spot. The Dark Knight Rises is second on that list behind 2011’s Harry Potter saga finale Deathly Hallows: Part II at $1.341b, while The Dark Knight is ranked fourth, just behind 2012’s Lord of the Rings prequel The Hobbit: An Unexpected Journey ($1.017b). Observing the substantial growth in the movie's gross income, rising up to billion would rank Aquaman on the fifth spot in that list, outgrossing 2001’s Harry Potter and the Sorcerer’s Stone ($974m), 2013’s The Hobbit: The Desolation of Smaug ($960.3m), 2010’s Harry Potter and the Deathly Hallows: Part I ($960.2m), and 2014’s The Hobbit: The Battle of the Five Armies ($945m). $1 billion is certainly a possibility in the coming weeks for the Trident of Neptune’ depending on how screens hold offshore. Japan is still to open on February 8. 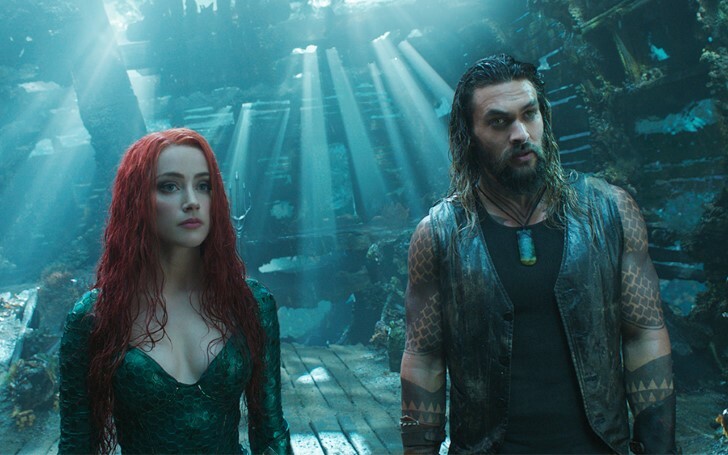 The James Wan-directed Aquaman’ led With $10.1 Million on New Year's Eve Box Office and added $12.4 million yesterday from 79 international markets. Starting off this DC comic superhero movie didn't do very well in the beginning and was prone to harsh criticisms. However, these numbers garnered by the movie apparently is interesting which in fact is mindblowing. Aquaman earned only $67.4 million in its opening while, Wonder Woman racked up a total of around $103 million which in fact is lesser than the total earned by DC's probably ill performing movie Justice League ($93.8 million). The half-human, half-Atlantean Aquaman DC Comics is the second-biggest solo superhero at the box office with $887 million. Considering the hype, the DC is presumed to move on with Aquaman's sequel in the coming days.